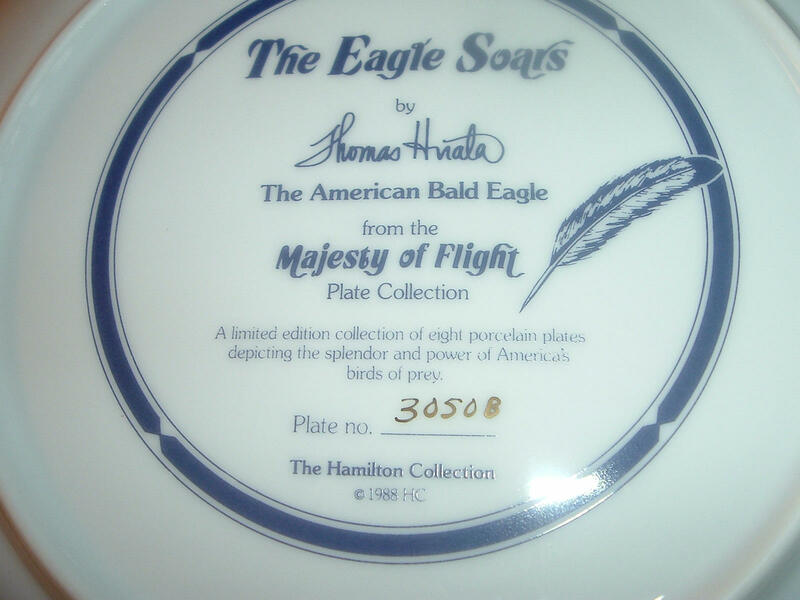 This 1988 Hamilton Collection The Eagle Soars plate measures approx. 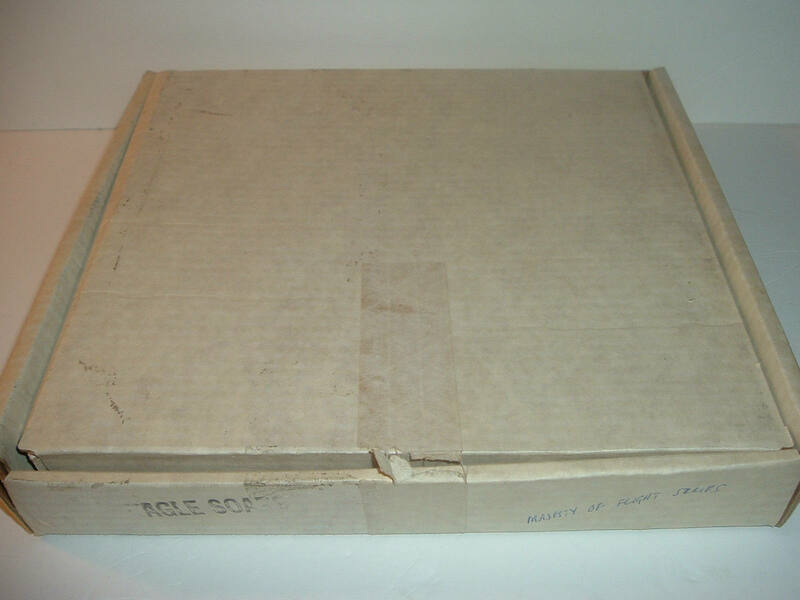 9.25" across. 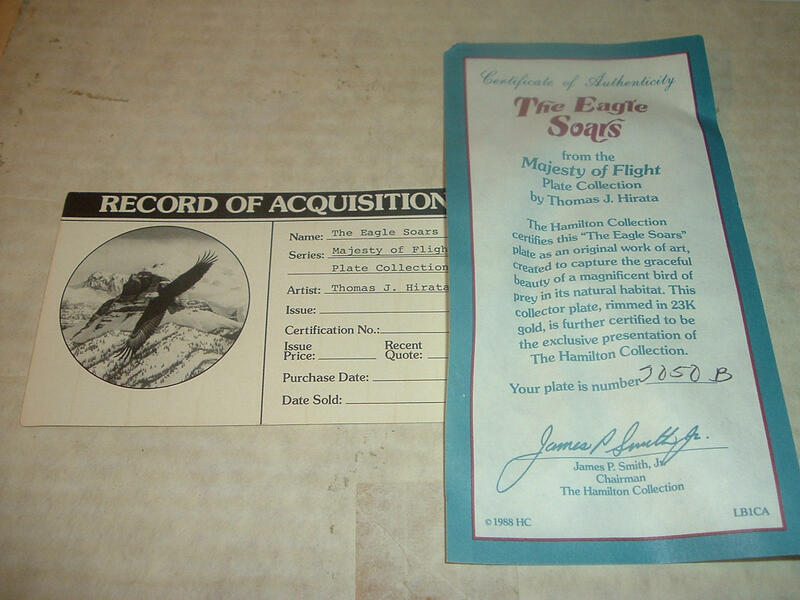 It is part of the Majesty of Flight collection by Thomas Hirata, and is excellent with no chips, no cracks, and no wear or scratching. 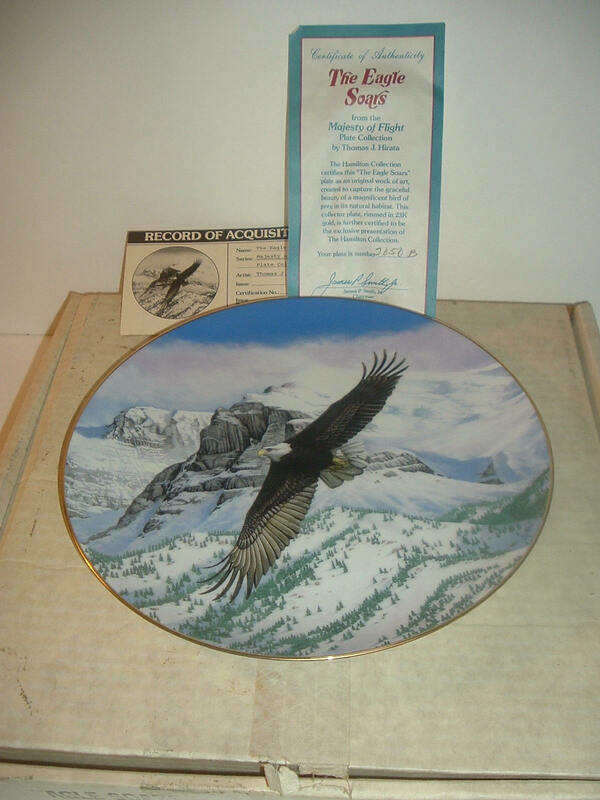 The plate is in its original box, and has its COA. 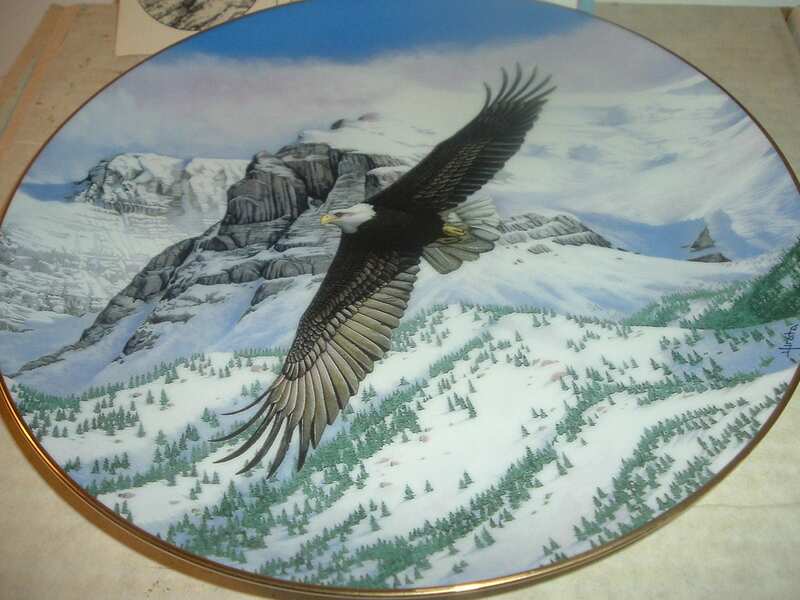 COA has some wrinkling. The box is still in decent shape with some writing and shelf wear. I gladly combine shipping.